Pakistan Navy has a great history and even future. With just one submarine Pak Navy did not allowed Indian Air craft career to attack Pakistan in Indo Pak war 1965. Pak Navy attacked on Indian Naval base on 7th September, 1965. This sudden attack on naval base of India Paralyzed the Indian Navy during the 17 days of war. Now Pakistan is manufacturing the submarines in its own factories. You may join Pak Navy as civilian and as uniform personal. Its not easy to join Pak Navy now a days, as you will have to clear preliminary test, written test, physical test, psychological test, medical examination and interview. Recruitment decision is taken on the overall performance of the candidates in all these tests. Naval headquarter reserves the right to take the final decision. Pakistani youth love to join Pak Navy. Every year thousands of youngsters try to join Pak Navy by appearing in preliminary test of Pakistan Navy. Interested candidates can join Pak Navy after matriculation, Intermediate, bachelor and various professional degrees. ISSB test is mandatory for all those candidates who want to join Pak Navy as commissioned officer. After final selection candidates have to clear the necessary training in their concerned area. Now a days Pakistan Navy encourage the females too for joining Pak Navy. Females can soon read a detailed article on easy ways to join Pak Navy. Till then kindly stay connected with studysolutions.pk. Remember that we publish all newspaper ads about latest jobs in Pakistan Navy on our facebook page too, so like and visit it daily. 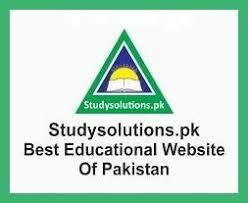 This page of studysolutions.pk will help you in viewing the all available jobs in Pakistan Navy. You may also get yourself registered online for the job of your choice. For offline registration you will have to visit your nearest Naval recruitment center along with all required documents.List of required documents will be available in the link given below. 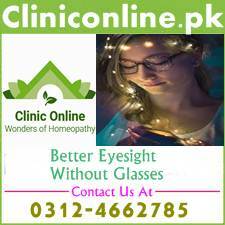 Same link can be used for downloading the application form. Online registration process is very easy for all those candidates who have little know how of computer application. We highly recommend you to read the following articles of our website on the related topics. Its just a small list of articles about joining armed forces of Pakistan, for more related articles you will have to visit our general articles category. Our team wish you best of luck in advance. Stay blessed always.